The Holidays are my favorite time of the year to drink wine, and this is because I get to drink with my friends and family. There is nothing better than sharing your favorite bottles with the ones that you love. So here are my 5 favorite Holiday wines. It is very easy to go to your favorite wine store and just grab a bottle of Veuve Clicquot, but I would recommend you to go for something different. After countless “Champagne Turkey Sandwich Tuesdays” with Veuve, I can tell you that it is delicious; however, it is the Holiday Season, so I love to drink something that is a little more rustic. Grower Champagne or Récolant Manipulant (RM) Champagne comes from a single grower who makes and markets their own wine which is exclusively sourced from their own vineyards. Most of the Champagne we see in America, including your favorites come from big Négociant Manipulant (NM) Champagne houses, which buy their grapes from chosen vineyards and then make the wines we all love. Buying RM Champagne is like going to the farmers market and buying your peaches from the old lady wearing the funny hat, as opposed to buying your peaches from Walmart. The old lady in the funny hat seems to know everything about her peaches and there is a certain care that she takes for them that is unmatched. Her peaches are sweet and delicious, cared for and beloved which is why they taste the best. I recommend Stephane Coquillette Carte d’Or Premier Cru, Champagne Brut. This wine has a lime zest freshness with hints of ripe nectarine and blood orange. The acidity can be austere at first sip but the fineness of the bubbles glide down your palette and will make you beg for another glass. If you can’t find or afford RM Champagne then drink Prosecco. Prosecco has that rustic Italian quality without the price tag. Champagne/Sparkling wines are great to start the day off with and they pair with just about any dish. I personally love to drink these wines with charcuterie. The Loire Valley in France is one of those areas that call out to my soul. The minerality in the wine comes from the limestone and Silex soils. Sancerre, which a wine made from the Sauvignon Blanc grape, has this smoky, flinty characteristic that is very appealing. The best representations from the Loire have citrus fruit qualities as well as an unmatched herbaceous quality. Sauvignon Blanc is naturally high in acid so it pairs really well with a goat cheese arugula salad. Sancerre is a crisper, cleaner Sauvignon Blanc than I am used to drinking. White Bordeaux and some American versions, when aged in oak, have a lanolin, wax, or cheese rind characteristic. I recommend Laporte Le Rochoy Sancerre. This wine is everything I want in a Sauvignon Blanc for the price tag. The aroma of fresh cut herbs, lemongrass, snow pea and green apple skins seduce you as if you were eating a granny smith while walking through a field of Dandelions. As you take your first sip you are shocked by the tangy lemon pith and lime zest. The second sip then brings a smoky flint minerality that quickly dries out your palate which only makes you want more. If you cannot find this wine go with a Chateau Respide-Medeville Graves Blanc (blend of Sauvignon Blanc and Semillon) or Fiddlehead Cellars Happy Canyon Sauvignon Blanc. These will all be dry, crisp and round on the palette. There will be a slight buttery, toasty, creamy roundness in some of these. There is a compost, forest floor, and mushroom aroma that is very appetizing in Bourgogne Blanc. The fruit condition can vary from tart, ripe, or even baked depending on the vintage. A classic yellow apple and pear quality is prominent in all of these wines. Cherry, Raspberry, Plum, Strawberry, Pomegranate and purple and red flowers are associated with Bourgogne Rouge. Some have a bit of game, leather, and mushrooms. Some have spice and more black fruit notes. They will all have complexity and a unique finish. These wines will all be dry and are super easy to drink. These wines are hard to find in Mississippi but very well worth it. For a more affordable substitute, try Gamay from either Beaujolais or the Loire Valley. Joseph Drouhin Beaujolais-Village and Paul Janin Beaujolais Piemonte are fantastic. 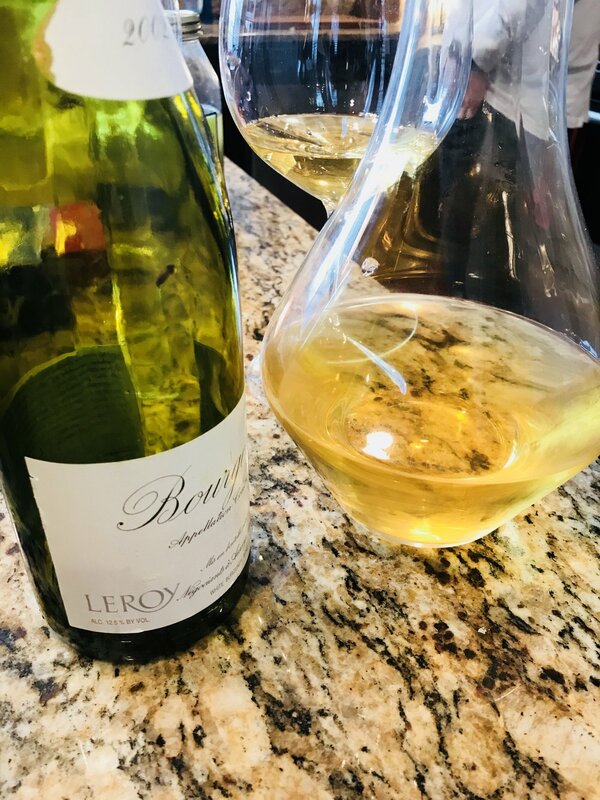 My wife’s new favorite is Terres Blonde Gamay, it hits the sweet spot and at under $15 bucks it will not break the bank. These wine scream Christmas to me. The best Syrah wines have herbal notes like Rosemary and other Provencal herbs. I’ll never forget the first time I smelled dried oregano in a wine, drank it, and felt like I was drinking blood from a freshly killed deer. This wine was from Cornas by Franck Balthazar. Now there are tons of Rhone wines out there, Northern Rhone is the heart of Syrah. Cornas, Hermitage, Crozes-Hermitage, St Joseph, and Cote Rotie are all located in the Northern Rhone. These wines have an array of flavors and aromas. Red fruits like cherry and raspberry can be blended amongst those of black fruits like blackberry, black cherry, and plum. Florals like violets, roses, and lavender can tickle your nose just as a hint of Rosemary, thyme, and mint warm your mind. Curing Spices and peppercorn can bewilder you as bacon fat and a meaty, gamey aroma whisks you away into an olive grove. Popular with your grandparents, I recommend you share some Porto with them this Holiday Season. I am a fan of Tawny ports but Ruby ports are great as well. The most fun I have had drinking all year involved port and a log fire. Late Bottle Vintage, Colheita, or really any vintage port can captivate you and put you into a dangerously expensive spiral of vintage port hunting.